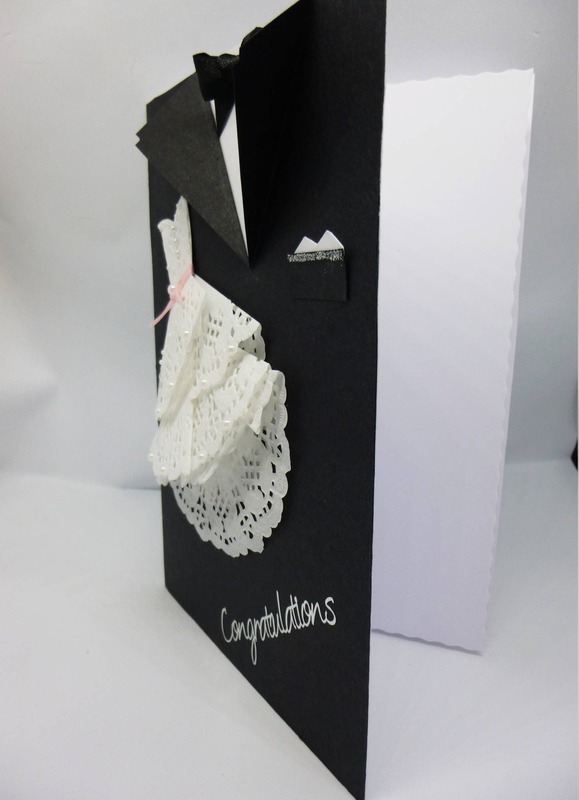 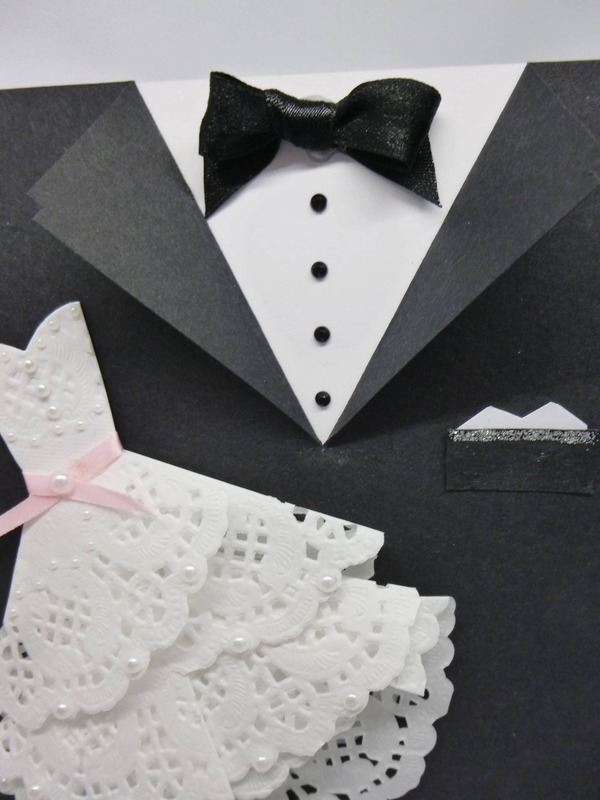 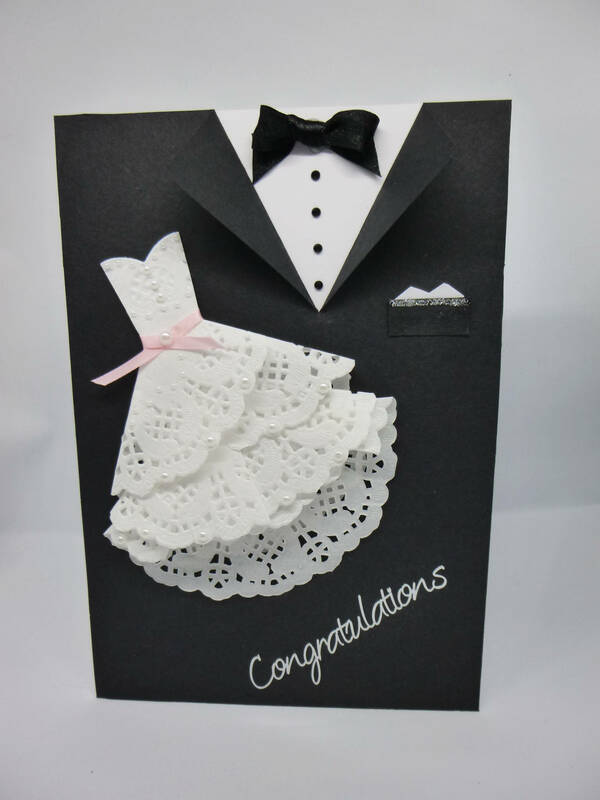 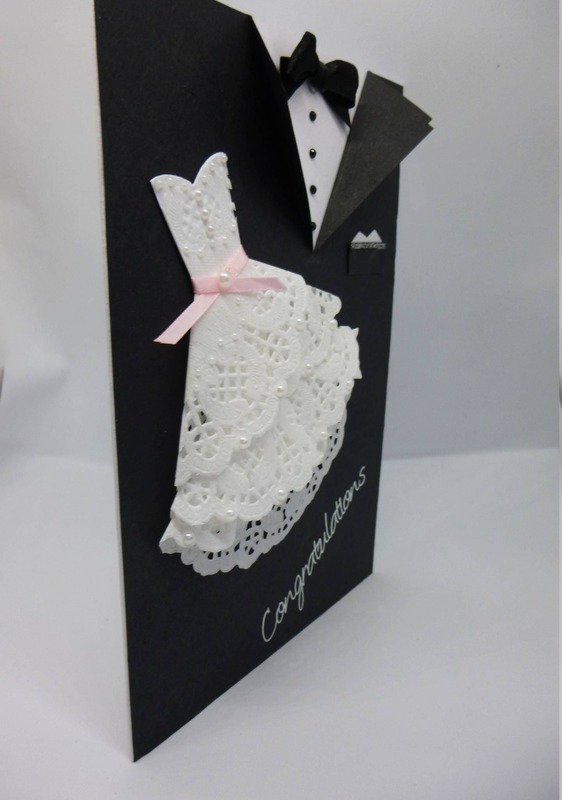 A Black and white wedding card, made from white base card and layered with black card, which is made into the tuxedo with a black satin bow, and black crystals for shirt buttons, Glitter applied to the breast pocket. 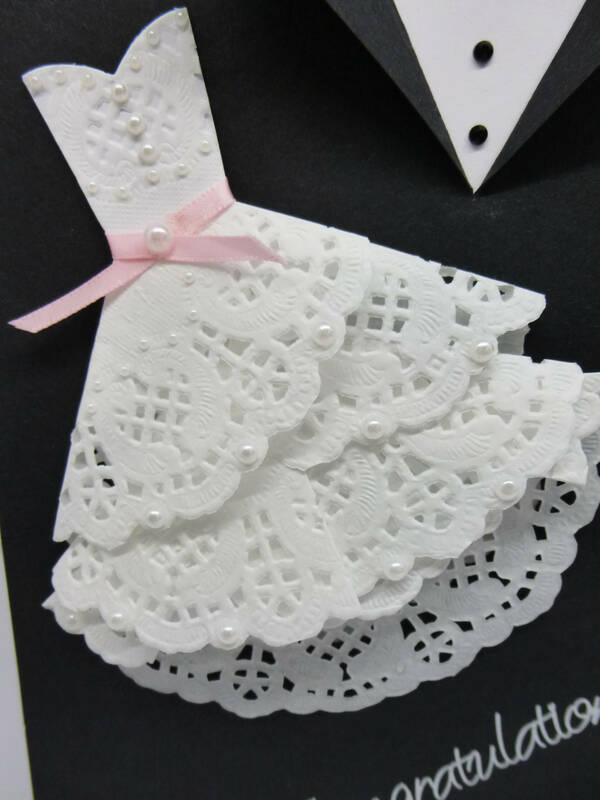 The dress is made from white paper dollies and folded to form the dress with a pink satin ribbon around the waist, there are different size pearl embellishments on the bodice and the skirt of the dress. 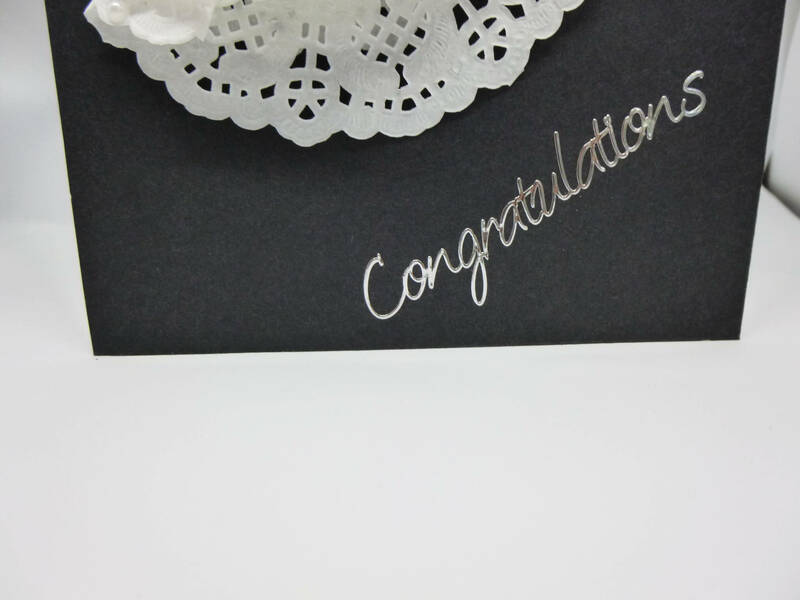 At the bottom of the card is the word Congratulations in silver writing. 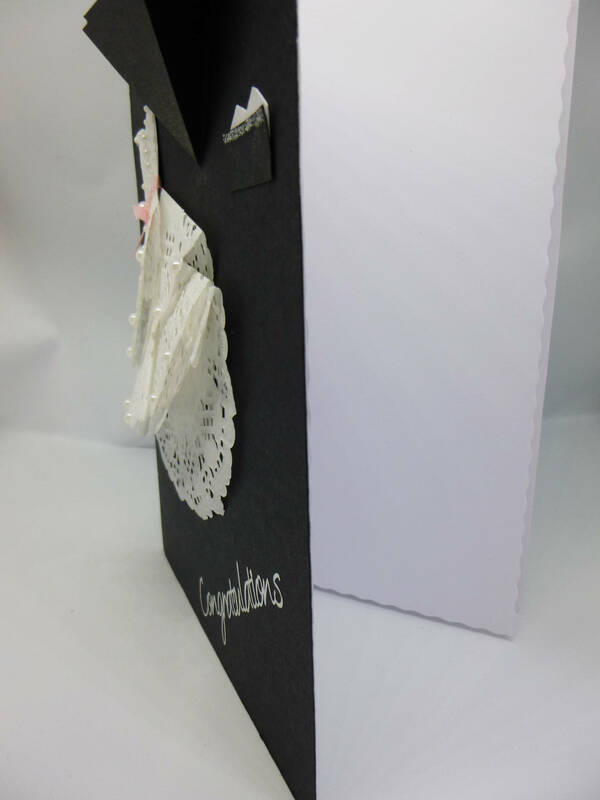 Inside the card is white insert paper which is left blank for you to write your own personal message.